Annie, at 13, is at that in between age. She is in between the girl sizes and the junior sizes. Sometimes she prefers the styles found in the “Girls” section, but with her height, size 16 -18 often isn’t big enough. Especially in the arms. We just bought a winter coat last year and this year it is too small for her – mainly in the arms. I felt that we could easily get another year out of the coat, which is mainly used for outdoor activities, and make it more comfortable for Annie by using a pair of old socks. One end of the socks is finished, so that will be the side which is outside. The cut side will be sewn into the sleeve. 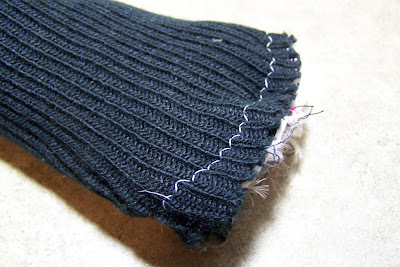 The sock could simply have been tacked into the cuff, but I felt it should be machine sewed to ensure enough strength for pulling the coat on and off. 1. 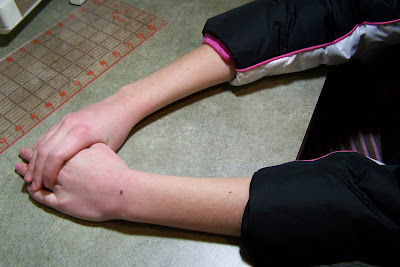 Turn the sleeve inside out. Pull the lining away from the coat to expose threads and snip. Remove all the threads. 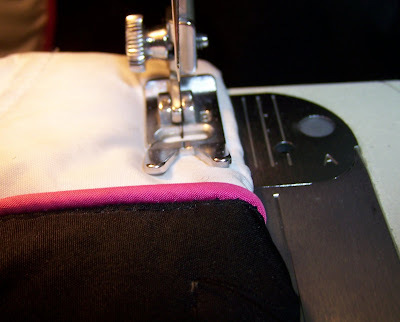 If the sleeve is tacked to the seam, snip those threads also. 2. 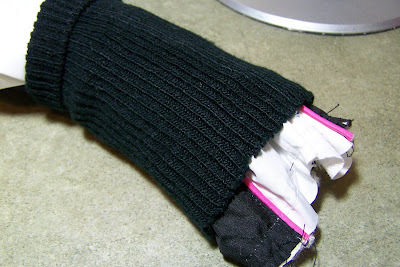 Turn sleeve right side out and place sock tube over sleeve with raw edges even. 3. 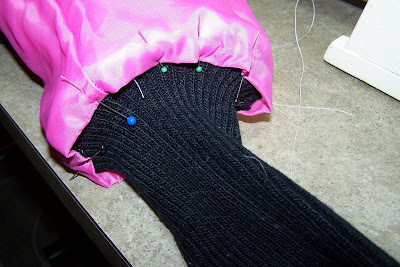 Pin sock to sleeve, stretching sock as necessary. 3. 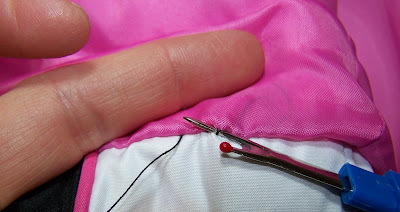 Sew (or serge) using a narrow zig zag stitch and a universal or ball point needle. 4. Tuck the sock inside the sleeve. Fold the sleeve back to it’s original position. 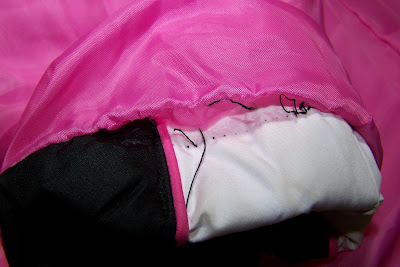 Being sure to keep the lining out of the way, top stitch the sleeve. 5. Turn sleeve inside out again. 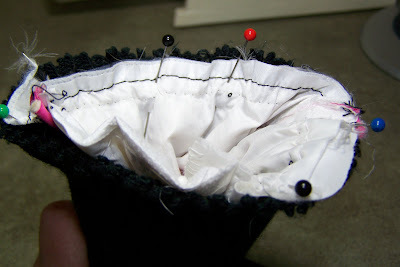 Pin lining to the sock. Hand stitch the lining to the sock, stretching as necessary. 6. Enjoy another year with extra warm wrists! 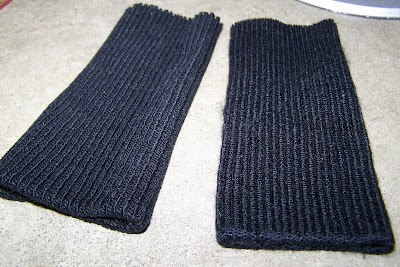 The new cuff can be worn folded or extended. Very creative idea with a recycling and functional twist. You are amazing Jane! Maybe your blog should be called “Amazing Jane” instead of “Maiden Jane”!!!!! I think that this tutorial is such a great idea…extending the life of a perfectly good wearable. Bravo!!!!! You are a genius! I love this idea. Brilliant!!! A fabulous and PEAR-fect recraft! We love it! Wow, those sleeves look great! I don’t sew so I have no hope of ever doing that, but I sure am impressed with your skills. That would be a great tutorial to submit to Totally Tutorials. Anyone with kids will love this tutorial!!!! Thanks for linking! this is great! I love practical stuff! Thanks so much for sharing! This is absolutely wonderful, Thank you! LOVE it! Great tip! Thank you! Brilliant idea! Lovin this thrifty treasure! What a neat idea! Great job.